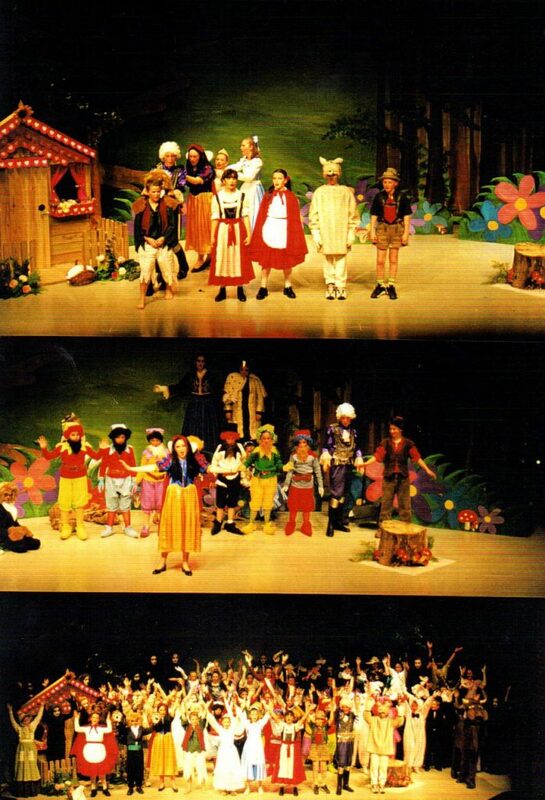 Fairy Tales is an adult musical for children and vice versa. Your set is an enchanting forest with a gorgeous cottage. It’s home to Red Riding Hood’s grannie, Snow White’s hideaway, Cinderella’s step-mother, Hansel and Gretel’s witch, Jack and the Beanstalk’s mother and Beauty and the Beast’s castle. It’s a multi-purpose building! We’re at the annual Fairy Tales convention. It’s a who’s who of famous fairy tale characters. Curtain opens on your picture-book set as the famous folk sing. But things are not okay. This is not an all sweetness and light story. There’s trouble in Fairy Tale City. Cinderella is unhappy about her footwear at the ball, Snow White queries the male/female roles in fairy tales, Jack is desperate for economic recognition, Wolf is really a sheep in wolf’s clothing and Hansel and Gretel would like a serious chat with the brothers Grimm. In fact, unhappiness is everywhere. That is until someone comes up with an amazing proposal. Let’s swap roles. Not forever of course – just for the day; just here at the convention. Hilarious and dramatic events unfold as the fairy tale characters try living in someone else’s fairy tale. But does being someone else make you happy? The whacky witch and the grumbling giant are ever present. Then, when the threat of censorship or even a total ban on some fairy tales, because they are politically incorrect, looms large, what can be done? The answer comes from a very surprising source with the full company singing the hit song Fall In Love. Your costumes are stunning, your set enchanting, the music toe-tapping and the comedy and drama just keep on coming. Terrific songs and loads of pantomime characters. Use a chorus of fairy tale characters – as few or as many as you like. Two bouncy acts with a total running time of about 100 minutes. Great success with adults, youth theatre and schools. Fabulous backing CD, snappy band parts to accompany this wonderful family show. Ideal for Christmas or as your “new” panto. The finale is definitely a “happily ever after” celebration of life. Fairy Tales is a heart-warming, thought-provoking show. Five women work as cleaners at night in a large office complex. The play takes place mainly in their small tea-room before and after their shifts. Their working lives are pretty dull – washing floors, cleaning toilets, dusting, vacuuming and emptying rubbish bins. And their home life is just as bad, perhaps worse. Each woman has a story to tell; a sad story. But one of the cleaning ladies has hopes for a better life away from scrubbing floors. Her dreams affect the others to the extent that their lives are changed dramatically and forever. The drab tea-room for the scrubbers is transformed when they become showbiz stars. It’s a hoot. Scrubbers has been staged around the world with great success. One company toured the show to many parts of the UK with a stopover in London. Scrubbers was a resounding success. This fabulous musical was thoroughly enjoyed by the audiences at all four venues and we have received many compliments for the show and the cast. 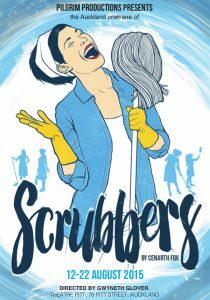 Scrubbers was hilariously entertaining and brought many people to theatre who had never been before. 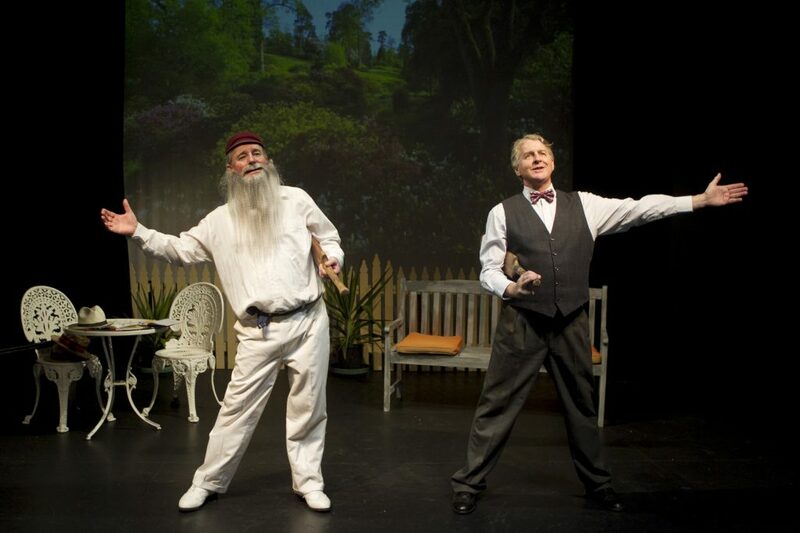 Maryborough Players Inc.
A comic but serious treatment of old age. A magnificent set. Smileaway is the retirement home for a group of elderly folk. Yes, nearly all your cast are 80 years of age. Even older. What a challenge. Your actors have to walk, talk and even dance as ‘seniors’. Matron Iris Blatt is not your average nice person. She treats the elderly residents with contempt constantly reminding them that no-one ever visits. This is particularly sad for Gloria who always asks if her son is coming to see her today. The local politician, Mayor Horace Oleganious lives up to his name. He too has grand designs on making money out of the old folk. But some of the fogies refuse to bow to the bullies. The fogies attend their weekly get-fit classes and plan to fight back. The gardener’s a strange one. He talks to the plants bu there’s plenty of depth to what seems a simple character. Then suddenly Smileaway is up for sale. 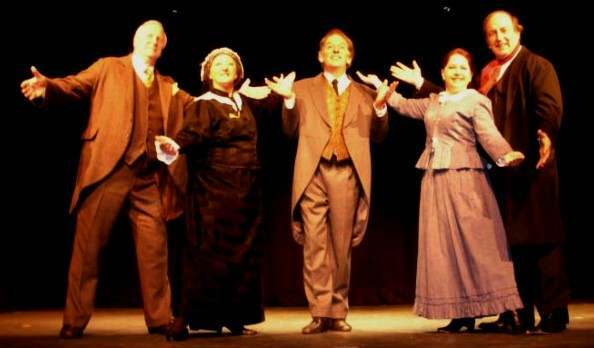 The fogies panic then despair when the Matron and Mayor decide to buy the place. The estate agent arrives when the fogies have gone on a picnic but dear old Freda is asleep in her chair. She produces her ancient cheque/check-book and buys Smileaway. The fogies return and are delighted. Matron is fuming. But horror. Freda’s account was closed twenty years ago. Brilliant. Matron and Mayor swoop. They will buy it themselves. “We’re on the fiddle …” But a happy ending is definitely required. You’re only as young as you feel. A very special new owner appears and a family reunion occurs to melt your heart. 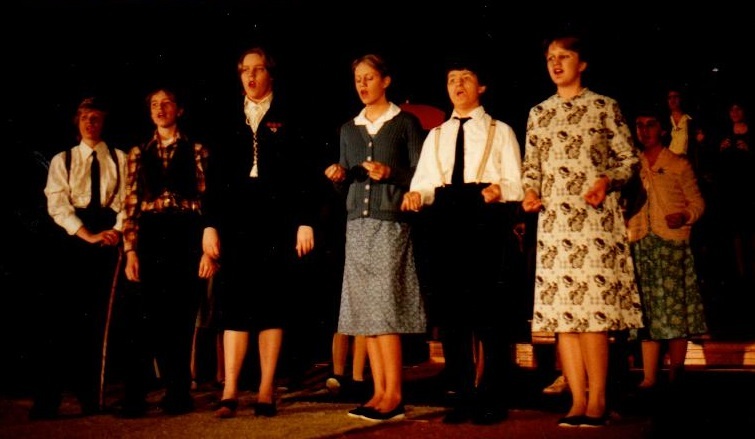 Fogies runs about 110 minutes, has 19 principal parts of mixed gender, a chorus as big as you like, one gorgeous set and has enjoyed great success with adults and teenagers. 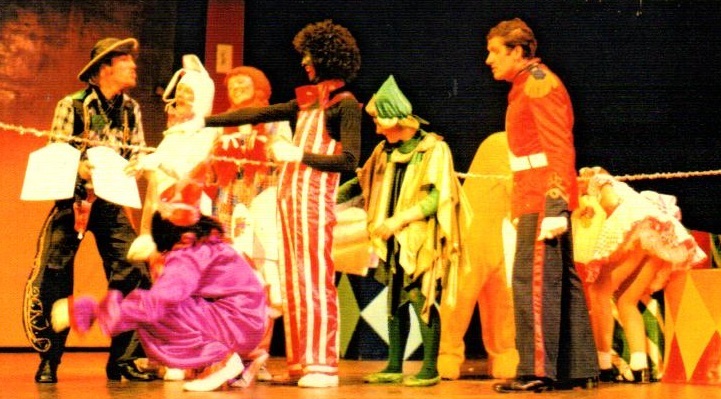 Some experienced children have even staged this bouncy musical. Fogies has a sparkling script, score, band parts and backing CD. William Shakespeare is the world greatest playwright. We know about his plays but what of the man? And what was life like in his day? Shakespeare’s England had spies, persecution, murder, barbaric public entertainment, plagues, executions, love, romance, poverty, wealth and danger. His plays reflected the times. Shakespeare the Musical reveals the schoolboy, the teenage father and then the actor and playwright in licentious London. His work is universally known and acclaimed being rich in language and the study of ‘the human condition’. His life was like his plays, full of adventure, grief, triumph, romance, and danger. He wrote tragedies, comedies, and histories and led a mysterious and fascinating life. Snippets of his plays appear seamlessly as we move through the great man’s life. Appreciate the plays. Appreciate the playwright. It’s entertainment with education and a great way to celebrate the Bard. The famous Broadway and Hollywood stars are all in your show! Georgie has inherited her late grandfather’s old cafe in the quiet country town of Sleepy Hollow. Georgie likes her cafe and the peace of the rural environment. But when the local Council support a development proposal, everything is under threat. The town will be flooded with tourists and concrete. Worse still, Georgie’s cafe will be demolished. But just when things look really bleak, Georgie gets a surprise gift from an old timer. What a gift. It’s a jukebox. But no ordinary jukebox. This one has magic written all over it. The jukebox doesn’t play songs, it plays people. Famous people, entertainers who’ve thrilled generations. Broadway stars, movie greats – they’re all inside this magic jukebox. So when the buttons are pushed, Sleepy Hollow gets the surprise and prize of its life. Great character roles and a remarkable set that comes alive! This enchanting musical is truly a family show. It’s been staged by children, teenagers and adults for audiences of all ages. It operates on different levels. Entrancing entertainment for children but many serious and topical issues for adults. One amazing set. A giant chair – three actors can easily stand on it – huge presents and a box of pencils to simply amaze. It’s 2am on Christmas morning. Santa’s been but the house is asleep. Moonlight streams in the darkened room. A present moves. Ted E. Bear emerges and unwraps Cowboy. They have a plan to secretly escape to the North Pole to tell Santa that some humans are mistreating their toys. How will they travel? How will they survive? Just as they start to escape, the other toys come alive, defiantly oppose the plan, but eventually agree and creep off into the huge house to look for provisions. Raggy is alone and wants to know why her friend Golly has been ignored by Teddy. She decides to ask Santa with the moving ballad ‘Dear Santa’. Suddenly disaster. Ted falls down the stairs and is seriously ill. He needs a stuffing transplant. But Ted E. Bear is outwardly aggressive and certainly prejudiced. He doesn’t want Golly to escape because Golly’s black and everyone knows [or so says Ted] that black toys show off. But when the toys examine their stuffing to see who has the same, only Golly’s stuffing is suitable. The toys sing ‘It’s what inside of you dear old Teddy that the world outside can see. What counts is what’s inside.’ The stuffing transplant is successful. Part of Golly saves Ted E. Bear and everyone learns a valuable lesson The escape plan now involves all the toys! But surprises keep coming. In the corner there’s a toy box and out come the hand-me-down toys. They know all about life, and pass on some excellent home truths. ‘ur heart’s still in the right place even though we’ve lost some stuffing.’ The cowboys/girls and Indians come out of hiding during the Saloon-Bar Rag and the party just keeps growing. The escape is about to happen until disaster. Everyone is shattered when a note is found. It’s written in toy writing and addressed to Santa. Oh no. There’s a traitor in their midst. One of the toys has betrayed them. Who wrote the note? A wonderful and hilarious art class and exhibition follows, and the traitor is revealed. What a shock! But time is running out. We must escape now. A toy steam train roars into the lounge and the toys climb on board. Off they go waving to the hand-me-down toys. The escape is flying. Crash! Ted steers into the broom cupboard. The toys limp back and despair as a huge storm erupts. They can’t possibly escape in this weather. But with the odds against them, with everything looking hopeless, Ted rallies the troops for one last assault. Toys runs for about 100 minutes, has 14 roles and scope for a wonderful chorus. There are solos, duets, trios and big chorus numbers. The costumes are stunning and the songs are delightful. It’s truly an adult musical for children and vice versa. That’s got you thinking. 3M and 2F thespians perform 25 of the 60 Sherlock stories penned by Sir Arthur Conan Doyle including The Hound of the Baskervilles, The Speckled Band, The Valley of Fear, The Empty House and The Sign of Four. And the actors sing as well. It’s a madcap, non-stop musical comedy with Mrs Hudson constantly urging Mr Holmes and Dr Watson to move to the next tale. A great challenge for the actors. There are catchy songs with the Reichenbach Falls being introduced with Oh It’s Swell to Swim in Switzerland. A great way to introduce Sherlock Holmes to your audiences. A great way for actors to keep fit! You could have a much larger company but where’s the fun in that? Comes with a backing CD. There is a radio play adaptation of this show complete with songs. See Contact and then Order Form. I know what you’re thinking. A two-hander about cricket – who wants to see that? Well actually it’s the non-cricket people who have the most love for this show. It’s a cinch to stage and even easier to tour. It’s a comedy with songs set in cricket heaven today. Two residents, one the world’s greatest batsman and the other the world’s greatest showman are next-door neighbours. Don Bradman and William Gilbert Grace (WG) set the world of cricket alight. Enter Fred Ashley-Cooper, the cricket world’s most prolific writer. Fred wants to write a warts ‘n all book about Doctor Grace and his suspect activities. Grace tells all. Bradman plays his piano. So has cricket changed since WG and the Don last played the game? I mean today we have gambling, sledging, chucking, cheating, controversial umpiring, strange pitches, media beat-ups, apartheid, one-day cricket, loud music at games, sponsors, crazy spectators, players’ wage demands, fiery bowlers and scuffles and fantastic finishes. YES BUT ALL THAT TOOK PLACE IN THE 19th CENTURY! Discover how The Ashes began. See how W.G. Grace changed the game of cricket forever, how in heaven today he now wants copyright on ‘The Ashes’. He made a fortune from cricket during Queen Victoria’s reign. He was the world’s greatest shamateur and cricket’s first superstar. But what does the Doctor really think of the Don? Don Bradman Lives Next Door has toe-tapping songs. The umpires sing Sir Donald Bradman and the players sing The Doctor went in on Tuesday. There are strokes, appeals, and declarations. A bishop gives praise to the Lord of Lords. 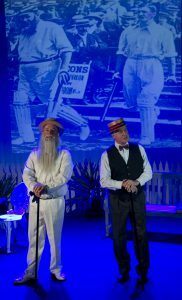 Don Bradman Lives Next Door is full of drama and comedy with cricketing myths, maidens and merriment. Only the facts and batting order have been changed. It runs for 90 minutes and has fabulous reviews. A one-woman musical ideal for a fabulous seasoned performer. Maggie is middle-aged. She returns to her childhood home to ‘go through’ her recently-deceased, widowed-mother’s estate. Maggie’s mother, Edna, lived there for half a century. Longer. The house is full of ‘things’. Maggie’s memories flood back. There are long-forgotten photos, toys, newspapers, and knick-knacks. Edna was a hoarder. Who gets what? What do you keep? What will Maggie discover? She discovers a hat she wore as a child in a song and dance eisteddfod. Can Maggie still remember the routine 50 years later? A photo album has snaps of relatives with names like Horace, Doris, Millicent and Claude. Then the great ‘what if’ question as she sings, What if I’d married Donald? Then she discovers a childhood Teddy and sings a beautiful and tender song. This leads to a photo she never wanted to see. Her heartache is real. There are highs and lows and the show is a great challenge for a talented singing/dancing actress. When did Rock ‘n Roll really begin? Ah, now the truth will out. 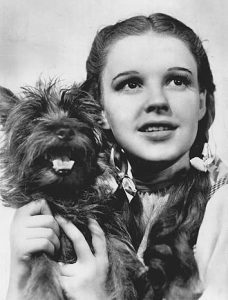 In the sleepy town of Dullsville in 1947, FLIP and MARILYN are in love. He’s a budding songwriter, she wants to study medicine. FLIP plays the organ in church on Sundays and tries out his new hymn on his sisters. The hymn is Roll Up to the Rock of Faith. They reckon it’s boring. So FLIP tries the hymn at a new tempo. Oh boy. FLIP discovers a new style of music he calls roll ‘n rock. FLIP plays his new music next Sunday in church. Young people love it. PASTOR MUSTARD and MAYOR LOOPHOLE are stunned and reckon it threatens civilisation. FLIP battles authority to get his music heard. MARILYN leaves to become a doctor and life seems pretty grim. Will FLIP’S music ever become famous? Will he ever marry MARILYN? Will vaudeville make a comeback? Suddenly FLIP’s music is being played on radio. Has FLIP invented roll ‘n rock? All is revealed in this toe-tapping, laughter-filled musical. cobber – noun used in Australian English meaning friend, mate or companion. In days past in Suffolk England, to cob meant to form a friendship. The word cobber first appeared in The Bulletin in February 1895. Three young English siblings [two sisters and their brother] set sail for Australia in 1897. They land in Sydney to live with their aunt. At the time, Australia is in the grip of Federation fever. 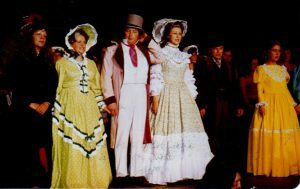 The three English travellers discover what it’s like to live Down Under at a time when there was turmoil in the colony. Some Aussies want to cut the ties with Mother Britain. 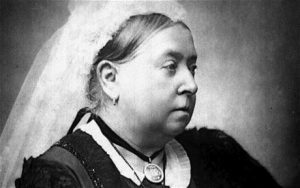 Queen Victoria enters and sings, “Cut those apron strings”. In 1897 Australia was a series of independent colonies with their own border posts, postal and railway systems and no national defence force. Countries such as Italy and the USA engaged in a civil war or wars before establishing federation. Australia avoided civil war but had its fair share of skirmishes, squabbles and struggles along the down under federation way. Cobbers is at times a serious and then light-hearted look at Australia and Australians just before and after Federation. It was a time to win or lose your cobbers. Includes the stirring anthem Australia. And includes an all-singing, all-dancing Queen Victoria Cut Those Apron Strings. Dinkum Poppies is a musical salute to thousands of people who’ve had something to do with Australia. Statesmen, shearers, squatters, soldiers, social-workers, singers, sporting stars, sheilas, strikers, suffragettes, swindlers and swaggies. Struth! The setting is a modern sideshow in a fairground. A family tour the country performing their showbiz fairground routines. Business is bad. When someone suggests they ‘spin a yarn’, something magical occurs. In stroll the actual stars. The heroes and heroines off yesterday arrive to tell their tall tales but true. Fair dinkum. 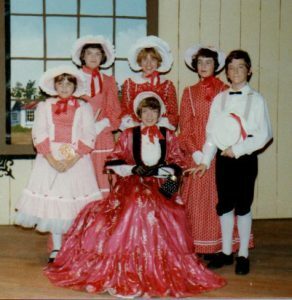 The first Cenarth Fox stage show first staged in 1974. History comes alive. A strong company musical with meaty principal roles and heaps of work for your chorus. 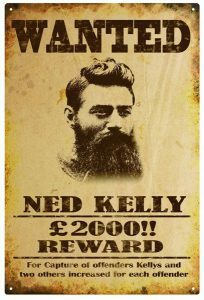 The story involves people in and around Sydney, Australia in the early 1800’s. The free settlers are represented by two families – the Campbells and the Broadsides – the Convicts are led by Stephen Blackmore and Governor Macquarie is represented by a member of his regiment – Corporal Daniel Brash. Never far from the action are the original Australians, the indigenous people who arrived thousands of years before the Europeans. The people and events are fictitious but the settings, characters, and battles are very real. The Originals is a story about the first European Australians and how they encountered the indigenous people. The early days in Sydney were rugged and exciting, matched only by the fascinating people who lived there. 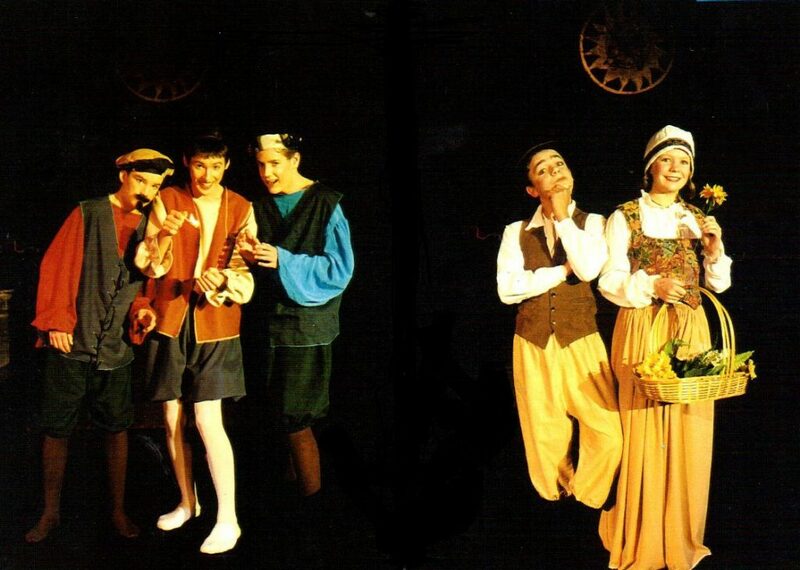 Performed by adults and secondary schools with great success.